Editor’s note: This piece was originally posted on AJMC.com on Nov. 21, 2018. Vivek Shah is a medical student at the UCLA David Geffen School of Medicine. He graduated with bachelors’ degrees in Biochemistry and Philosophy from the University of Southern California in 2018. Rebecca Li is an undergraduate student at the USC Keck School of Medicine. She is majoring in Global Health, minoring in Business Finance, and pursuing a progressive degree in Healthcare Decision Analysis. She is expecting to complete her bachelor’s and master’s degrees in 2020. The Affordable Care Act mandated in 2010 that all nonprofit hospitals conduct a Community Health Needs Assessment (CHNA). The regulation requires a hospital organization to conduct a CHNA at least once every 3 years and adopt an implementation strategy to meet the community health needs identified following the assessment. The CHNA must consider input from persons who represent the broad interests of the community served by the hospital. We believe that an implicit goal of CHNAs is to encourage hospitals to begin considering social determinants of health (SDOH) for their patient populations and develop partnerships with community organizations to address these identified factors. Therefore, the importance of a well-executed CHNA is paramount: it allows hospitals to better understand their communities, identify and address SDOH relevant to their community, and provide comprehensive care in partnership with patients and community organizations. However, in interpreting the CHNA requirements and regulations, the Treasury Department and the IRS have sought to preserve the flexibility of hospital facilities to determine the best way to identify and meet the health needs of the specific communities they serve. 1. Did hospitals use the assessment as an opportunity to better understand the needs of their patient community? To answer this question, we examined the extent to which hospitals sought input from the community in developing the CHNA. We focused on both the depth and breadth of input. Depth of input was measured by evaluating whether hospitals conducted focus groups, presented secondary data on disease burden, conducted in-person interviews, administered a survey to community members, and presented data at a geographical level no higher than county. Breadth of input measured the diversity of stakeholders from whom input was sought. Specifically, we measured if hospitals sought input in 2 or more languages, and whether input came from diverse sources including underserved populations, patients, community leaders, physicians and other health professionals, hospital administrators, non-governmental organizations, public health departments, law enforcement, or government agencies. 2. Did hospitals develop a plan for addressing unmet needs by partnering with the community? To answer this question, we examined the steps that the hospital took to address patient needs based on the input they received from the community. We asked if hospitals created partnerships, awarded project grants, specified the amount of funding for each, made partnerships or awarded grants to non-medical organizations, identified the present resources in the community, and developed a success metric that they monitored to gauge progress on the project. Each hospital’s CHNA was graded on 3 dimensions—depth of input sought, breadth of input sought, and quality of implementation plan for addressing patient needs—and each dimension was assessed using objective measures as described above. Next, we evaluated hospital performance compared with the median on a specific objective measure. A hospital earned 1 point for every measure where its performance exceeded the median. For example, one measure for input depth was the number of in-person interviews conducted by the hospital. The median number of interviews across all hospitals was roughly 10; so, a hospital got 1 point for this measure if it conducted more than 10 patient interviews when developing its CHNA. Exhibit 1 presents the objective measures used to score performance in each dimension. A hospital could earn a maximum of 5 points in each dimension (input depth, input breadth, and implementation plan) for a total of 15 points. For each dimension, hospitals received an “A” if they scored 4 or more points, a B if they scored 3 points, and a F or a failing grade if they scored 2 or fewer points. CHNA indicates Community Health Needs Assessment; NGO, non-governmental organization. What Grade Did Hospitals Receive for Their CHNAs? Exhibit 2 shows the grades for each dimension. 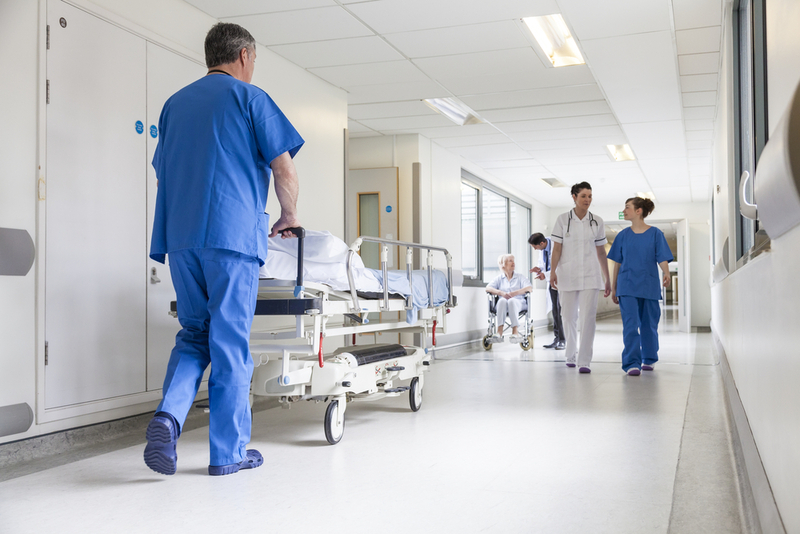 More than 1 in 5 hospitals received a failing grade for input depth, three-fourths received a failing grade for input breadth, and two-thirds received a failing grade on implementation plans for addressing patient needs. Some hospitals performed very well, however: nearly half of all hospitals received an A for input depth and roughly 1 in 5 hospitals received an A for input breadth of implementation plans. Overall, we found that 84% of hospitals were failing in at least 1 dimension, an observation that is echoed by another study which evaluated hospitals in Texas in 2013. We find that 16% of hospitals received a passing grade (an A or B) across all dimensions and 5% received an A across all dimensions, suggesting that hospitals can produce high-quality CHNAs. We also find that while a hospital may perform poorly along 1 dimension, it will often succeed in another, suggesting that while most hospitals need help in improving their CHNAs, the help needs to be tailored to the strengths and weaknesses of each hospital and community. These findings lead us to argue that more specific guidelines are needed so that CHNAs could be improved across all dimensions. The importance of these guidelines is 2-fold. First and foremost, non-profit hospitals receive the highly-coveted benefit of tax-exemption because they provide “community benefit.” To produce meaningful community benefit, hospitals must understand the needs of their community and a quality CHNA is a step towards that goal. In addition, CHNAs can serve as a tool for measuring the extent to which hospitals are adopting a population health outlook. Engaging with a representative and diverse sample of the community they serve can help hospitals understand and address needs that extend beyond the traditional medical paradigm of disease treatment. We must develop clearer guidelines for measuring a hospital’s orientation toward population health, such as with a CHNA. This would be a big step towards fundamentally improving population health and changing the relationship between a hospital and its community. © 2019 USC Schaeffer Center. All rights reserved.